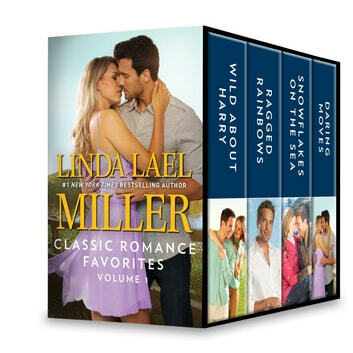 Sometimes a second chance is all you need… Don’t miss a single classic story in this collection from #1 New York Times bestselling author Linda Lael Miller. Amy Ryan strictly defined herself in three ways: successful businesswoman, devoted mother and grieving widow. Wild certainly never entered into the description. That is, until she met powerful Australian businessman Harry Griffith. Suddenly, Amy was doing all kinds of wild things—enjoying romantic dinners, taking spontaneous luxury vacations… and maybe, finally, falling in love again? International singing sensation Nathan McKendrick has it all—the looks, the talent, the charisma. It’s not surprising that half the world was infatuated with him, but his heart is with his wife, Mallory. The success of their marriage had always defied the odds, but when the bond between them is damaged, they must fight for everything they took for granted. And now, every Christmas they spend together reminds them that their love is everlasting…. An encounter with dashing widower Jordan Richards is making Amanda Scott question the walls she’s put up around herself. She’d fallen for the wrong man once before, but perhaps there’s a chance Jordan is different. But dare she fall in love again with a man whose heart holds wounds greater than her own, especially when her own earlier mistakes refuse to stay in the past?